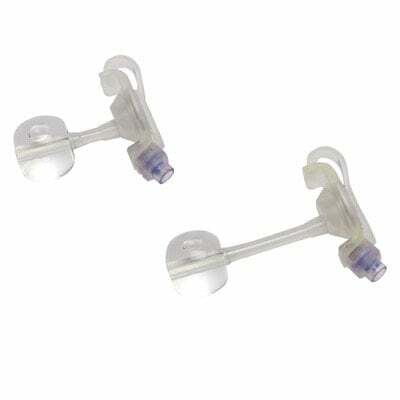 You are buying the Kendall Nutriport Skin Level Balloon G-Tube 16 FR 1.2cm Each, model #716120. ADW Diabetes offers a complete line of Enteral Feeding supplies like feeding pumps, feeding tubes, feeding bags, and the related nutritional supplements. At ADW Diabetes, we offer enteral feeding supplies in both single and bulk packaging for your convenience. The Kendall Nutriport Skin Level Balloon G-Tube 16 FR 1.2cm gastrostomy system is the only skin level balloon gastrostomy system with a unique external "raised feet" design to reduce skin irritation and durable balloon that extends the life of the device. The feeding port is incompatible with luer lock or IV connections, reducing the risk of accidental connection or infusion. Available with safe enteral connections to address the 2006 JCAHO Tubing Misconnections Sentinel Event alert.